The classic surf to kayak transition. 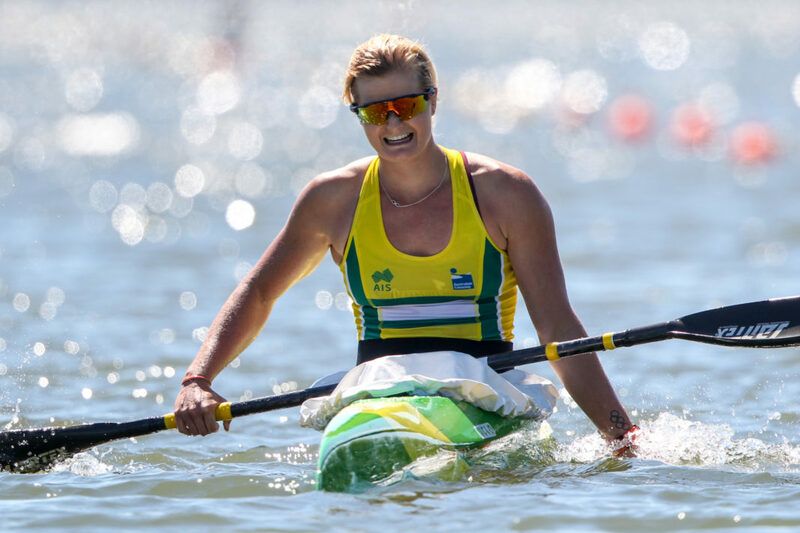 I started kayaking in 2013 – my surf coach at the time, Shane Dalziel, recommended it to help improve my ski leg in the Ironwoman races for the Nutri-Grain. Making the Australian Olympic Team and making the Final in the 2016 Rio Olympics. What keeps you busy outside of paddling? What is your current occcupation and/or university degree? I am a firefighter with a side of Certificate IV Training and Assessing. All of my friends and family that encourage and push me to be the best person I can be everyday in all aspects of my life. I give my hands a quick rub with some surf wax before I get on the water, wet my pants on the dock and I always fold my shammy (for under my heels) the same way. Probably Szeged. There’s nothing better than paddling down the course to well timed Hungarian drums and vuvuzelas. 2013 Junior, 2014 U23, 2015 U23 and Senior, 2016 Olympic, 2017 U23 and Senior, 2018 U23 and Senior.